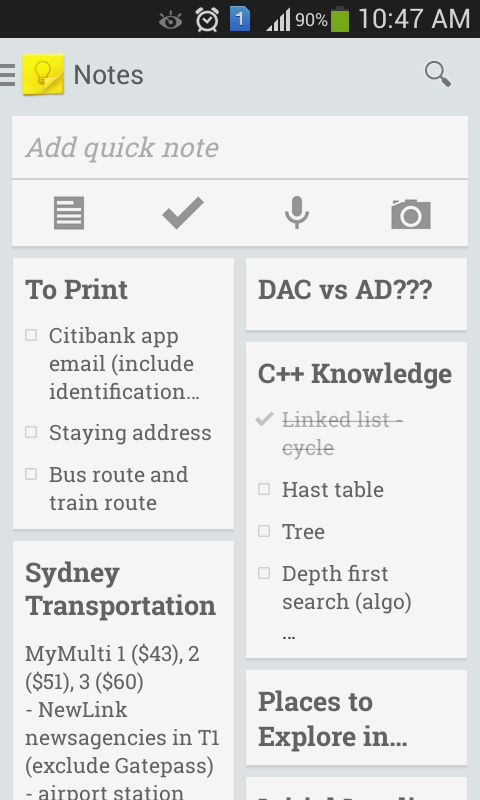 I have been trying around many note taker applications for Android and finally I settle down with Google Keep. The one that I like most before Google Keep was "FreeNote" and it is very cool for the fact that you can convert your handwriting into smaller fonts that fits into the smaller space unlike other note taker software, where the handwriting eats up most of the space. But too bad that in overall it is not user friendly enough and keep popping up message to request you go for a non-evaluation copy. Then, I came across this Google Keep by Google of course and have started using it until today. What I like about Google Keep? It is synced with Google - you just need to go here: "https://drive.google.com/keep/" to retrieve all your notes. So technically, if you re-install or change phone, all your notes won't be lost. Very user friendly - Easy to take note. You can also create a check list note which I find it very useful. Also, you an insert picture and add notes to it (I seldom use this anyway). The notes are also very easy to read because it will automatically re-size to bigger fonts if you have a short note. Supported widget view - You can create a widget for it so you can view all your notes without open the Google Keep application. This is extremely useful if you want to have a quick look at your notes! Archive your notes - I'm using this feature to backup my notes especially for notes that are important but seldom refer to. I keep those notes into Archive. You can still view all notes in Archive when you need to, it is just that it won't be shown by default. No search function - Sometimes when your notes grow, you need to do a search but it doesn't have this feature. So you have to manually browse the notes to find it. Quite bad sometimes especially if you have plenty of notes. If Google can implement such feature into this Google Keep, that will make this application perfect! [10/21/2013 - Update]: Thanks for the blog comment, I didn't notice the search icon (magnifying glass) at the upper right corner. I tested it and it works perfectly. No Category or Label - To organize my notes, I need either category or label feature. 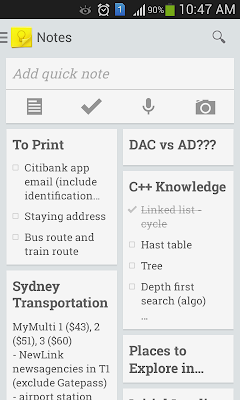 No such thing can be done to organize your notes with Google Keep. Again, hopefully Google will implement it then it will make my notes much more organized. In terms of priority, I would prefer the search function. Google, can you implement it? [11/15/2013 - Update]: Now I know why I said the search function is not there. I basically still can't search text within a note. I have a very lengthy note and it will be very hard for find what I look for if the search capability is not there. You can download Google Keep here. Enjoy! 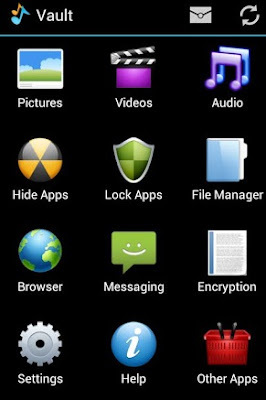 This is a very useful application called "Hide IT Pro" and it allows you to hide your photos and videos in your Android phone. It is free and after you install it, the application is actually named as "Audio Manager". Yeah, you know why it is renamed but it does really function like a Audio Manager as a secondary function. 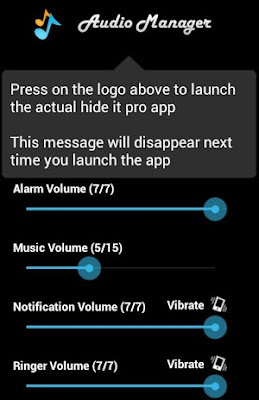 You can set the volume for your devices with this application and it really works. This is main screen and to enter to the real function of this application, you need to click and hold the "Audio Manager". It will ask you for password for first-time setup and after that you need to enter the password to enter. It is 4-words password. :) After you enter, you will see this vault folders. So each folder contains those files that you hide. To hide, just go inside this folder and press the "+" sign at the upper right corner and start choosing files that you want to hide. After hiding, this file can only be viewed by this application. You can create your own folders in this vault as well for better files organization. Anyway, this application is very user friendly and you shouldn't have problems to use it. Let's try it out yourself here. 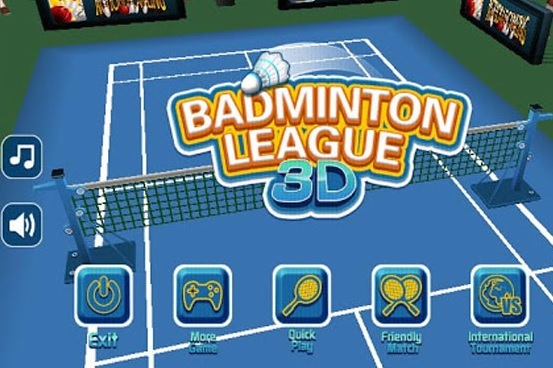 This game is called "Badminton League 3D" and probably is the first badminton Android game that I really enjoy playing it. 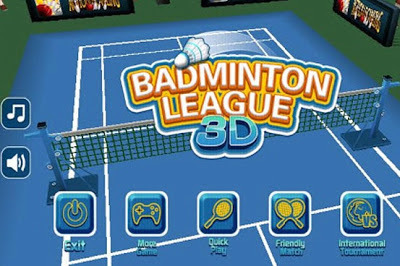 It is really an awesome game and like real! BUT what I hate is the Adware that comes together with it. 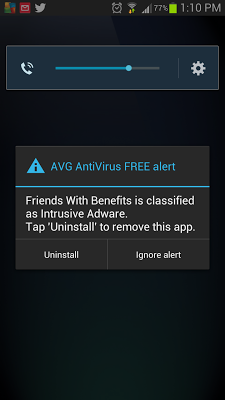 This Adware is annoying because of the pop-up advertisement. I seriously hope the developer should not include them. I tried to search again in GooglePlay and it seems like is no longer there anymore. Perhaps Google has removed it? It is very common after using your Android phone for quite sometimes, things get very slow. This is usually due to a lot applications and services are running at background and some are not even needed. The obvious one is to uninstall unnecessary applications especially those that run services at the background. 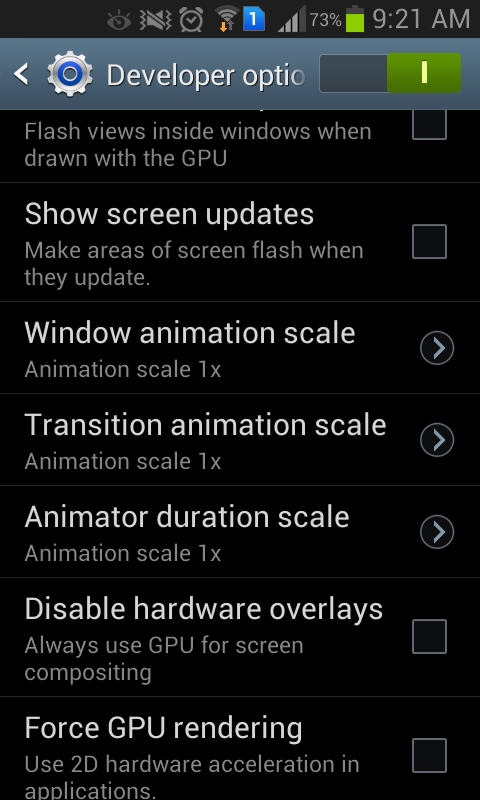 To know what services that run in the background, go to "Settings -> Applications Manager -> Running". For those unwanted applications, you should uninstall them or else it will make your phone lag like hell! However, not all applications can be uninstalled especially you don't root your phone. The only thing that you can do is to disable them. To disable them, go to "Settings -> Applications Manager -> All" and you can disable the applications manually by clicking on the disable button. AllShare Play - I don't use this. Seems cool but not applicable to me. Face Unlock - Cool but useless feature. I don't lock my phone with password also because I find it very troublesome and slow. Google Search - This is widget which I don't use it because it wastes my home screen space. S Memo - At first, I like it but it has text length limitation which is very annoying. Now I use Google Keep which I think is a lot more better. S Voice - Cool and useless feature again because it lags. Samsung Apps - Any useful Samsung Apps out there? Samsung Backup/Backup Provider/Browser SynchAdapter/Calender SynchAdapter/Cloud Data Relay/Contact SynchAdapter/SMemo SynchAdapter - I backup everything with my Google account which makes this no longer is necessary. Samsung TTS - Text to speech recognition, useless to me again. I hate showing off program especially you can do it faster way. After disable all these applications, I can feel that my phone are now run a lot faster. I can't tolerate lagging especially open a SMS for example. I always want to make my phone GUI's respond super fast!!! Another thing that I did is to group all those applications Icons using folder. It not only help me organize things but improve on phone performance. You can give it a try too. I only have one single page for all my applications. I don't like the idea or having multiple pages of icons. P/S: Hope this helps, share with me if you have other tips on improving Android's phone performance especially on GUI respond rate! As many of new users of Android phone, I downloaded tons of application and game but unfortunately not all these applications are friendly. What I hate the most are those pop-up advertisements. They are not just very irritating but also slow down your entire system. Some pop-up ads are not children friendly too! lol! 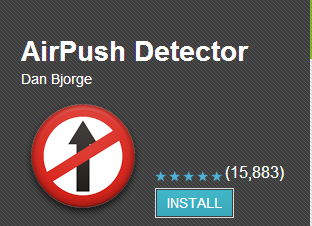 So I decided to uninstall this AirPush Detector because it is kind of useless. So how can we prevent the pop-up ads then? There is no automated way unless you have a better application to recommend me? The only thing that I do is I have to manually uninstall every single application that I have installed, then I will know which application actually causes it. Another smarter way you can do is "Force Close" the application and you still get the pop-up ads, it is most likely the application is running services at the background. You can disable the services and see whether there is still or getting less pop-up ads. If yes, then it is high possibility that the pop-up ads is came from this application. Easier said then done especially you have few applications (not just one) that cause the pop-up ads and please also note that those pop-up ads do not occur immediately. You usually get pop-up in few days. So you may face some challenges to identify them. Perhaps the best way is prevention, try not to install too many unreliable applications at the same time. So it is easier for you to detect it. Good luck!